Less than four months ago, Coco Montes was a college infielder and First-Year Player Draft hopeful. Now he's the Pioneer League MVP. Montes captured the award Sunday and was named to the circuit's end-of-season All-Star team after a stellar inaugural professional campaign with Grand Junction. Idaho Falls left-hander J.C. Cloney earned Pitcher of the Year honors. Shortly after the Rockies selected him in the 15th round of the Draft in June, Montes burst onto the scene, batting .476 through his first 20 games. He has a .339/.414/.521 slash line, eight homers and 42 RBIs. Along the way, the 21-year-old enjoyed several marquee performances to propel him toward the MVP award. Montes rapped out a pair of five-hit games, participated in the league's Home Run Derby and was named All-Star Game MVP after he clubbed two homers and drove in six runs to beat the Northwest League. Montes leads his team in batting and ranks fifth in the league. He's fourth in total bases (134) and tied for fifth in on-base percentage. While the University of South Florida product commanded respect in the batter's box, Cloney struck fear into hitters' hearts early this summer. He won all nine of his Pioneer League starts, pitching to a 1.93 ERA over 56 innings. That mark would easily top the circuit if Cloney logged enough innings to qualify. The 2017 ninth-round pick struck out 50 and posted a 1.05 WHIP before he was promoted to Class A Lexington on Aug. 9. Cloney -- a University of Arizona product -- has found success at the higher level, going 3-1 with a 2.73 ERA in his first five South Atlantic League start. Missoula teammates Zack Shannon and Zachery Almond both entered Sunday batting .350 to solidify their All-Star status . They also form a 1-2 punch atop the home run leaderboard, with Shannon sitting at 14 long balls and Almond at 13. 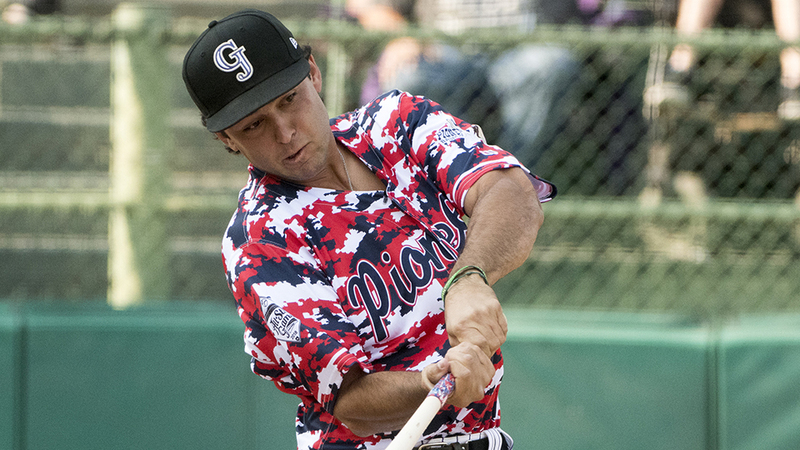 Idaho Falls third baseman Nathan Eaton, who leads the league in batting, also is an All-Star.